Jonathan Swanson, Co-Founder and President of Thumbtack joins me on my latest episode of Bay Area Ventures to talk about his journey from White House economic aide to building a high-growth fast-pace “generational” technology startup. Thumbtack provides a marketplace for local services allowing one to find providers for just about anything from builders to caterers to tutors to … you name it. Their approach is different from sites which force you to do all the research for choosing the best provider. Thumbtack walks you through a couple questions and then does the research for you, finding you the best match for your project. Founded in 2009, Thumbtack is now a so-called “unicorn”, a privately held company valued at over $1 billion. Jonathan’s goal for Thumbtack is to be the Amazon of the gig-economy by creating the ultimate marketplace for getting things done. More than building just a huge company though, Jonathan is out to improve the lives of millions of people around the world by helping them become independent and successful entrepreneurs in a world where no one can count on an employer or job to support them for life. With over a million active customers and hundreds of thousands of providers, Jonathan is doing just that. Thumbtack helps independent providers promote their skills and match them with good customers. In doing so, these independent providers increase their confidence and change their lives for the better. In this episode you’ll hear Jonathan provide some solid examples of people who have achieved great personal success on the platform. Thumbtack is so successful it is out performing Yelp and Angie’s List and could be the Yellow Pages for the twenty-first century and beyond. Jonathan, is a bright and highly motivated entrepreneur. He is building an open organization where he welcomes debate and challenges to the status quo. The company publishes internal information like board meeting notes for all employees to see in order to encourage everyone in the organization to be aware of what’s happening and how they can make an impact. Jonathan and his co-founders launched Thumbtack in Washington, DC during the height of the financial crisis in 2009. Today Thumbtack has over 1,000 employees in San Francisco, Salt Lake City and the Philippines. 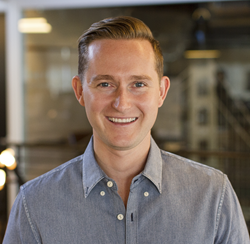 Jonathan moved Thumbtack to San Francisco to take advantage of the Bay Area’s ecosystem early-on and in this interview you’ll hear how he compares the Bay Area way of business to other areas. There is a powerful interview with a brilliant young entrepreneur.